However, not everyone can enjoy the privilege of what an MBA program has to offer due to its expensive tuition and lengthy requirements. 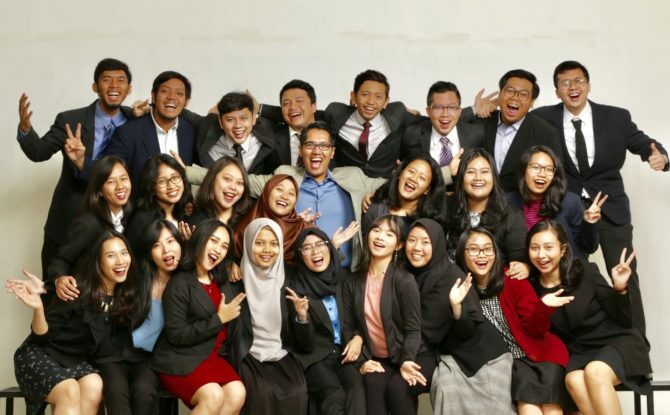 Thanks to XL Axiata that provides an intensive development program like XL Future Leaders, which according to many of its awardees is similar to MBA program in some ways. U.S. News survey reveals that the average acceptance rate to enroll a business school is 45.6%. This is significantly higher than that of top-tier business schools, such as Stanford Graduate Business School (6%) and Harvard Business School (12%). What about XLFL program? In 2017 we received 12,546 applicants, and only 150 accepted. It means that the XLFL program acceptance rate is 1.2%! This is even more competitive than the most competitive business schools out there. It is definitely worth trying. To be accepted at an MBA program, an applicant should submit IELTS/TOEFL score, essays (two or three), a study plan, a recommendation letter, GMAT score, and later is facing an intensive interview. Seriously, that is a long list, and it requires hard work and persistence. Normally, it takes six months to a year of preparation. It is pretty much like XLFL program application process. The first stage is an online admission where all applicants must submit personal information and two types of essay. English test and GMAT will be performed online. If the applicants pass the first test, then they are to continue it to the second stage; an in-tray business model, a presentation, and a focus group discussion. When this second stage is passed, then the participants are entitled to go to the final round, an intensive interview! This makes the total duration rounded up to seven months for this XLFL program. 99% of XLFL students say it’s worth the effort. How big of business network do you have now? Guarantee that getting access to a large network is one opportunity offered in a business school. This is because you will not only connect with other fellow students, but also will connect to professors, teaching staff, and alumni network. Not to sound cocky, these are the things you can get when you are part of XLFL program. Its system allows you to team up with students from various majors, get experienced-mentors, in a circle of XLFL program partners, and be in an extensive alumni network. This is a rare and priceless chance for undergraduate students to get. Furthermore, the connections made here are forever, they will open doors to multiple career options. Let’s talk about numbers. The average cost for an MBA program is USD 60,000, whereas the average tuition and fees for top business schools cost more than USD 100,000. It is a huge investment. No kidding. Fortunately, there are options of aid and scholarships. Student loan is also available for the needy students. This makes many MBA students finish MBA with debts for a number of years. On the other hand, XLFL is a zero tuition program! It is 100% fully funded program supported by XL Axiata. If you make it here, you will even get a free laptop, a mobile phone, and a stunning phone credit transferred for two years! The real cost is only a commitment. A full commitment to learn, excel, contribute to others, stay focus, engage in every activity, and join the workshops. Sounds not so hard to do, but for real, they are not too easy to stick with. A full two year-commitment is running along the process of undergraduate study. The funny thing is XLFL has had more than 850 students doing this and made them enjoying significant growth throughout the program. We just feel you will too experience the same. To highlight, it is not an apple to apple comparison, but looking at some facts shared earlier here that we can spot similarity and differences here and there between an MBA and XLFL program. This article is meant to verify the claim that our students make. XL Future Leaders is designed to give undergraduate students a platform to enhancing their best quality in three main competencies: Effective Communication, Change Management, and Entrepreneurship & Innovation. Here comes the question then, will you miss or take the challenge to feel what it feels like to be an MBA student while you are an undergraduate student?